Given the amount of time Apple has taken to get the white iPhone 4 to market, you would be forgiven for thinking that the mythical device would never be released. The company has long said that the device would become available in Spring this year, and yesterday it was given another independent confirmation after Phil Schiller, Senior Vice President for Worldwide Marketing at Apple, tweeted that the device was still on course for its second quarter launch. @airickanderson Hi Eric. The white iPhone will be available this spring (and it is a beauty!). It’s not often you hear of an Apple employee taking to Twitter to confirm company plans but Schiller did, remarking that the device would be a “beauty”. It does beg the question of whether Apple will release a white iPhone 4 or introduce a new white model when the company announces the next device in its yearly iPhone refresh. 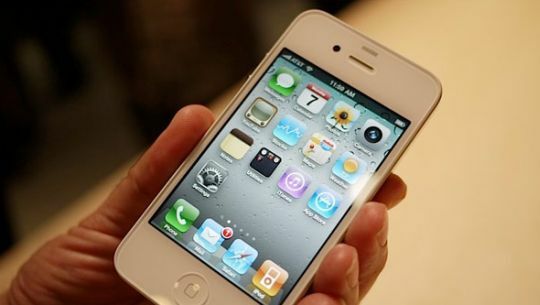 Issues with paint quality affected the initial launch of the white iPhone 4, pushing back the device until Spring of this year. However, recently Apple released its new iPad 2, making a white model available from launch. Whilst the manufacturing process may be different, it could suggest that Apple has resolved quality issues and a white iPhone will not be too far away.